The Moto G5 Plus is the better-looking of the two phones, we think. It is still not quite to our tastes, the camera hump could have stayed on the Moto Z, for example. 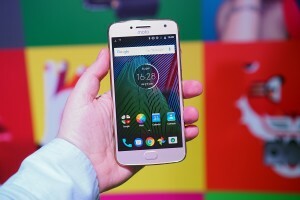 We do appreciate that Moto didn't skimp on the screen - we saw plenty of 720p screens in the 5" class, but this one has proper resolution without breaking the bank. The screen is guarded by an old Gorilla Glass 3, but so is the LG G6. 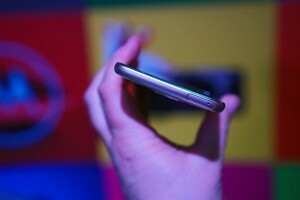 Below the screen is the fingerprint reader, which can fully replace the on-screen buttons through gestures. You can tap it for Home (it's not a pressable button), or swipe left for Back and right for App switcher. 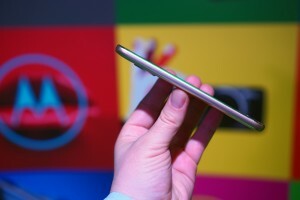 At a 5.2" diagonal, removing the on-screen buttons will give you an appreciable bump in available space. Or you could keep them, if you prefer. 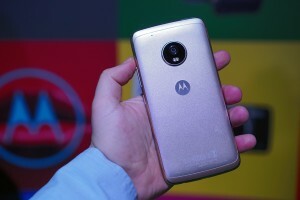 This is one of the few things that Motorola changed about the Moto G5 Plus. Another is the addition of Moto Display. Other than that, it is pure Android 7.0 Nougat - not quite Nokia pure, but better than the Xperia XA1. Going around the back, we get to enjoy the diamond cut back. It's made from high-grade aluminum and is available in Lunar Grey or Gold colors. Water repellent nano-coating gives the phone a basic resistance to the elements. 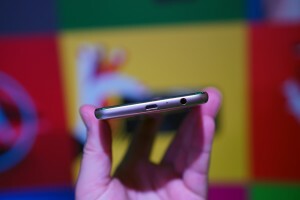 By far the most interesting feature on the back is the camera, though. 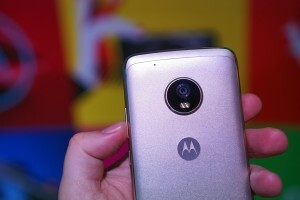 Moto advertises it as the first Dual Pixel AF camera in its class and that is correct. Besides the Galaxy flagship, we've also seen Dual Pixel on the Oppo R9s but both are way outside this phone's price range. The camera features a 12MP sensor behind a very bright f/1.7 lens. We could only snap a few photos, but we expect the Moto G5 Plus camera to offer great low-light performance and fast, accurate autofocus. There's no optical image stabilization, but at least there's a dual-LED flash to lend assistance to the camera. The camera also offers manual mode. Now, the US version of the camera can record impressive 2160p video. Few phones in this price class can manage that. EMEA - Europe, the Middle East and Africa - however, get the much less exciting 1080p video. We're not sure why - the Snapdragon 625 chipset at the heart of this phone is perfectly capable of 4K. Motorola also made a regional mess of the memory. You can get the Moto G5 Plus in a variety of combinations ranging from 2GB/32GB to 4GB/64GB. Those are the two options to be available in the US, it seems that EMEA is getting 3GB/32GB instead. 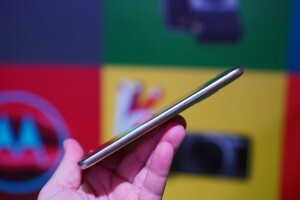 Anyway, this 14nm chipset is known for its efficiency and should offer great endurance thanks to the 3,000mAh battery. 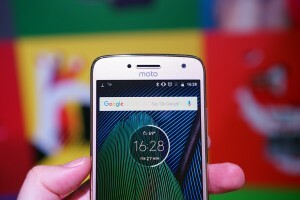 There's also Moto's TurboPower tech, which promises 6 hours of battery life in just 15 minutes of charging.